Who Makes Ethiopia's Political, Business and Love Problems? Ethiopia's Rough Way to Prosperity! Who Makes the Political, Business and Love Problems in Ethiopia? Better, Buy My Poetry Book! There are always some reasons to any political, business and love problem in this country, as there are always some doers to these problems. Problems in Ethiopia or in any place never happen alone! Are they? Well, this is the sitemap 4 on this country. The answers to the political, business and love problems in the country are bigger than one page, or even bigger than one website to include. However, some reasons are included in this site map. 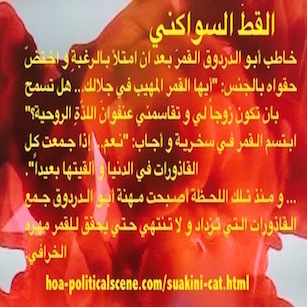 So, what you think, if I told you that you could include all the political, business and love problems in this country in the entire HOA's Political Scene Network to make many websites in this network gratis and share discussing these problems. We may find solutions in the website you will build here. I have built the sitemap 4, for this reason and for many other objectives. First, through this site map you reach all the pages about this country on this network. Therefore, the sitemap is obviously a website organizer. 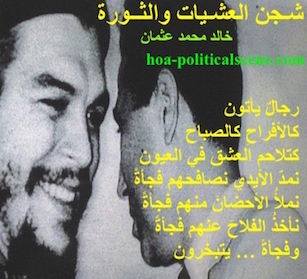 Second, you can reach also all the pages visitors to this website and readers to the HOA's Political Scene Newsletter have built on this network. This will give you ideas and make it easy for you to navigate through this network and share with it your opinion that counts in developing a positive look to the future of this country. You can reach all the pages about Ethiopia through the primary and secondary sitemaps here below. Enjoy your visit and take your time to read and comment on the political, business and love problems in Ethiopia. If you do not wish to write in politics, you can write about your city, town or village through Any Beautiful City in the world here. See at the same time the beautiful Gondar here. The media describes the political situation in the country as in "tense but calm" every time and then when the government harasses opponents and send them to prisons. 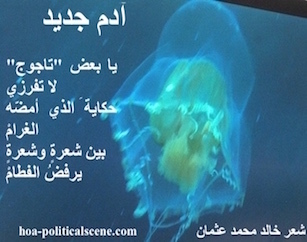 In the lights of the coming elections scheduled in the country to take effect on 23 May 2010, political observers criticize the treatment of the government to political opponents and the press in the country. In addition, the human rights records are not yet improved and that raise reviews from international human rights organizations. 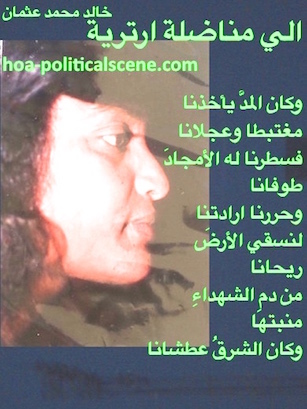 The late to attract worldwide attention and respect is Judge Birtukan Mideksa, the prisoner of conscience who serves a life sentence in Kaliti prison in Addis Ababa since December 2008, when the authorities arrested her for the second time. The first was in November 2005 following the dispute over the elections by the party she leads, Coalition for Unity and Democracy (CUD) and the demonstrations that led to the killing of 187 people, 6 police officers and 765 people wounded. Birtukan charged and sentenced to life imprisonment. Fears of the incidents that followed the last election escalate and the opposition leaders have discussed possibilities of harsh election season in the country since nothing has improved in regards to freedom of speech and open democracy in the country. What continues to happen in the country is that, the government always fudges a plot against it prior to the election to arrest opposition leaders. The people become used to it and may laugh on it. They sometimes describe it as new game the prime minister plays to continue in power and decide on who will lead the country as his party wishes. Not only the opposition that thinks this way, but the people also become aware that the government always thinks that even from the opposition there should always be some people who favour the TPLF. As for the opposition, what happened in Sudan could influence it to boycott the 2010 election as the Sudanese opposition did. However, the opposition groups both inside the country and in the diaspora always lack solid ground to stand on it. There are different reasons in addition to the lack of free movement and free and adequate political campaigning. * Etiopia _ This is what you are reading now. It is the site map 4. There are always some reasons to any political, business and love problem in the country, as there are always some doers to these problems. Problems in this country or in any place never happen alone! * Etiopia Country Profile _ This Profile is about the geo-political features, demography, population, environment, natural resources, cultures and political system. * Etiopia Political Scene _ has different kinds of political impacts on people. The wide and open political perspectives work wrong sometimes to produce political crises, instead of the fact that they shouldn't. * Etiopia Political Problems _ Read more about the Political Problems to understand the nature of the political problems in this country. Discover the history of the country, the politics, the people and the land. * Etiopian Election Violence _ Ethiopia fears the election violence in 2005 to reflect on the coming election in 2010! However, the decision makers do not need somebody to remind them to take care of bad expectations. * TPLF _ This is the Tigrayan People's Liberation Front (TPLF). It makes as ethnic political party the core of the political decision in the country because it makes the ruling coalition of the Ethiopian People's Revolutionary Democratic Front (EPRDF). * Ethio-Eritrean Wars _ This page falls also in the Eritrean Sitemap 3. The last wars are results of the insanity! The last wars deepen the sadness and create human borders between two nice people. Are they leadership elites' wars? * Awassa Children's Village _ Taken only by the faith and generosity of somebody like you, those children are smiling to life! SOS Children's Villages Moms and Dads make one of the SOS Children's Villages in the country a happy home for 46 orphaned and abandoned children. Etiopian Refugees _ WFP Struggles to Feed 90,000 Ethiopian and Eritrean Refugees in Eastern Sudan. Ethiopian and Eritrean refugees - vis-à-vis hunger. In addition to the political system, the famine and the wars have contributed to raise the numbers of Ethiopian refugees. The famine in 1984-1985 and in the years after the fall of Mangistu Haile Mariam's regime have resulted in the displacement of hundreds of thousands Ethiopians. Readers of the HOA Political Scene Newsletter and visitors to this network have built many pages about Ethiopia. You can reach those pages through the sitemaps here. ** If you were a reporter join the Horn of Africa's Journalists here. If you were a poet, join this HOA's Network through the Squadron of Poets page. ** Subscribe to HOA's Political Scene Newsletter and confirm your subscription by clicking on the confirmation link in the email I will send you when you fill the form at the top left column. 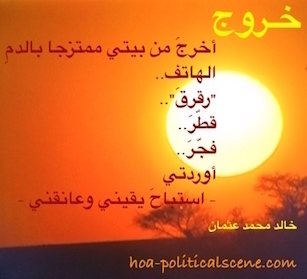 ** Let all people you know visit this page and encourage them to join the network and to subscribe to HOA's Political Scene Newsletter when you Forward HOA's Political Scene to them. You can encourage them through the big box in the form. ** Share this page about Ethiopia with your services through the buttons below, at the left column or at the bottom of the page. ** Follow the lines in the next box. Are you from the area? Do you know what is going on? Are you fluent in English and Arabic? Freelancers needed! Fill the form here and provide details about you and a summary to current news or one new political topic analysis for evaluation. See Freelancing Fees here. ** Comment on this page about Ethiopia or write political articles through the second form below the freelancers' form. ** Upload photos from Ethiopia at Any Beautiful City. Many thanks. Share your comments, articles, or just opinion through this form. You can even invite your friends to share opinions and connect with you through this form. Just invite them when you Forward HOA's Political Scene to them. Enter the address of this page and encourage them to join by filling the form here. Thanks. Please, feel free to download your gifts from the "Thank You" page. The Twentieth Century Political Waves and Ethnical Deceit! The following Site Build It! tools at the bottom of this page empower this page about Ethiopia. They actually empower most of Khalid Osman's network online. You can use them too, to empower anything you know about and build it a thriving e-business.